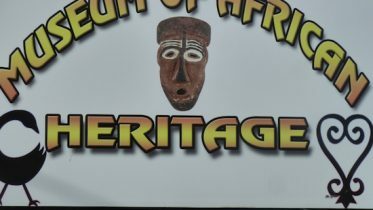 The proud recipients were Firhaana Bulbulia, who copped first prize Dudley Ellis, who took the second prize and third place was awarded to Ibrahim Hinds. Two Barbadian Muslim students were recently rewarded for their participation in the Martin Luther King Jr. Essay Competition hosted by the United States Embassy and co-sponsored by the Nation Publishing Co. Limited. 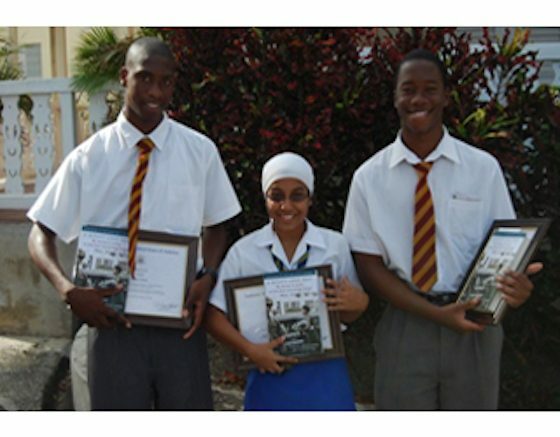 The proud recipients were Firhaana Bulbulia, a Muslim student attending The St Michael School, who copped first prize and won US$750; Dudley Ellis, of Harrison College, who took the second prize of US$500; while third place was awarded to Ibrahim Hinds, also a Muslim student attending Harrison College, who won US$250. Firhaana is the daughter of Suleiman Bulbulia, Secretary of the Barbados Muslim Association. The competition, held annually, asked students to address the topic: Does The Election Of President Barack Obama Represent The Fulfilment Of Dr Martin Luther King Jr.’s Dream Or Is It Only One Milestone Along A Longer Road To Full Equality? Chargé d’Affaires at the United States Embassy, Dr Brent Hardt, at the presentation ceremony held at The St Michael School, noted that King’s values, ideals and courage still stood as a beacon of hope not only for Americans, but for citizens of all nations who believed in justice and equality. “In coming together this morning on the occasion of the conclusion of our annual Martin Luther King Jr. Essay Competition, we have occasion to remember the life and work of Dr King and to honour his memory by recommitting ourselves to making real in our lives the ideals for which he worked and ultimately gave his life,” he said. Be the first to comment on "Two Muslim students in top three of Martin Luther King essay competition"